In celebration of the 2018 Royal Wedding between Prince Harry and Meghan Markle, our editors came up with a list of 10 hotels where monarchs have rested their crowns and where you can too. From Queen Victoria to Prince Albert II of Monaco, these are truly hotels and resorts fit for a queen – or a king! See our full list of hotels fit for royalty. Meghan Markle, now the Duchess of Sussex, stayed at Cliveden House Hotel on the eve of her wedding to Prince Harry. This country estate was built by the second Duke of Buckingham in 1666 as a hunting lodge to entertain both his friends and his mistress, and since then nearly every British monarch, starting with George I, has made it a home away from palace. Queen Elizabeth II visits frequently, and Queen Victoria used to take her afternoon tea here. 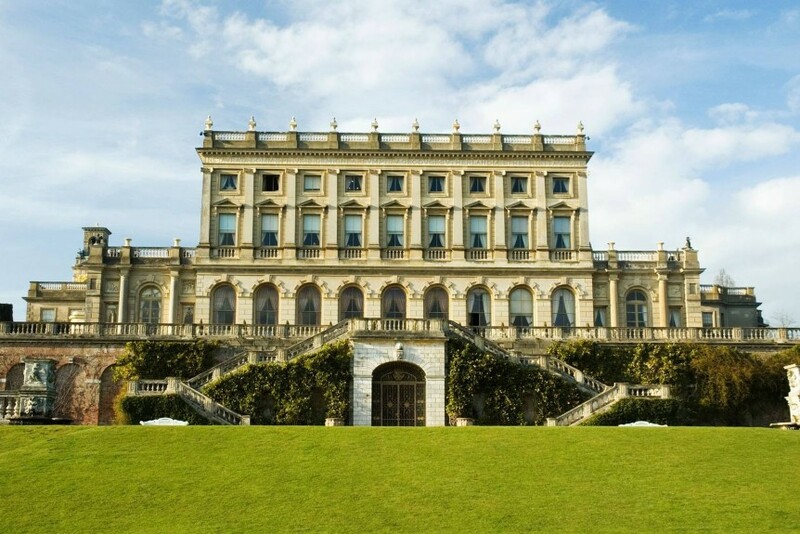 The Cliveden Estate was also home to the Profumo Affair, a political scandal born from a pool party at the estate that rocked 1960’s Britain. In 2017, Prince Harry and then-girlfriend Meghan Markle opted for one of Round Hill’s iconic villas when he attended a friend’s destination wedding in Jamaica. The resort prides itself on its privacy and exclusivity, allowing just one wedding per weekend. For this particular wedding, staff on-site signed non-disclosure agreements due to the high caliber of guests rumored (and confirmed) to be attending. Each room and villa was designed by Ralph Lauren, and the resort itself is perched in the hillside with stunning coastal views to ensure privacy. Prior to his engagement to Meghan Markle, Prince Harry visited this hotel while on a trip to the Commonwealth realms of the Caribbean on behalf of the Queen. The Prince stayed in the 2,600-square-foot Cove Suites penthouse which is known for its panoramic views of the Caribbean Sea, 500-square-foot private balcony, three bedrooms, living area, dining area, and kitchen. If that’s not enough luxury for you, there is also a private pool with its own staircase to a private white sand beach. As part of this trip, Prince Harry was present for the re-dedication of Nelson’s Dockyard – first built under Admiral Nelson in the 1700’s. Prince William and Kate Middleton lived at Matakauri Lodge during their 2014 tour of New Zealand, staying in a 5,000-square-foot freestanding home, big enough for eight guests, with floor-to-ceiling views of The Remarkables mountain range and Lake Wakatipu. On this tour, they did have 8 month old Prince George in tow but he was left with nannies in Wellington for the Matakuari portion of the trip. While in New Zealand, The Duke & Duchess of of Cambridge visited various government organizations, museums, and memorials throughout New Zealand as well as partaking in some traditional Maori events. Before she was a Princess, she was a movie star. Grace Kelly stayed at the Hotel Bel-Air the night she won the Academy Award for Best Actress in 1955, and used it as a home away from home in Los Angeles. She was living at this hotel while she was being courted by Prince Rainier III of Monaco, and happily introduced him to each member of the staff after their engagement was made public. Prince Albert II, their son and the current ruler of Monaco, has since visited Hotel Bel-Air with his wife Princess Charlene. As Princess Grace, Grace Kelly traveled regularly through Europe for royal reasons as well as personal holidays. One of her favorite cities to visit was always Venice, and her go-to hotel was the Hotel Danieli. While in Venice, she would spend time at one of two famous jewelers – Nardi, for timeless elegance, and Attilio Codognato for cheeky statement pieces. After a renovation, the hotel named one of its quintessential suites after Princess Grace and designed it with her reknowned grace and beauty in mind. The Monastero Santa Rosa started its life in 1681 as a monastery and operated as such until the 1880’s. In 1924 it had its first go-around as a hotel, and unfortunately fell into disrepair after the death of the hotel owner. In 2000, hotelier Bianca Sharma spotted the ruins from a boat in the Gulf of Salerno and purchased the property almost immediately. What came next was a 10-year painstaking renovation of the monastery, bringing into the luxurious modern age while still paying respects to the beautiful 17th century architecture. Prince Albert II of Monaco and his wife Princess Charlene were both present at the grand reopening in 2012 and undoubtedly enjoyed the Michelin-starred restaurant, Il Refetorio, and the infinity pool precipitously perched 600 feet above the sea. While most notorious for the extensive list of Hollywood royalty that has stayed behind the walls at The Beverly Hills Hotel, there is quite a number of actual royals as well. The long list of royals who have stayed in one of the private bungalows tucked away off Sunset Boulevard includes Princess Margaret, Lord Snowden, the Duke and Duchess of Windsor, King Albert of Belgium, and Prince Albert II of Monaco.